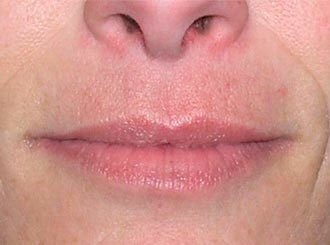 Mrs. L had deep nasolabial folds and lips that she wanted enhanced in a significant way. 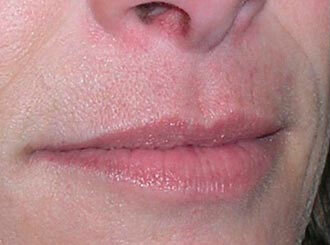 All components of the lip were addressed using 1 mL of filler in the lips and 2mL in the nasolabial folds. 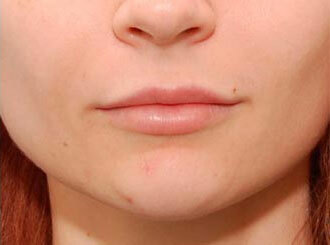 Restylane was used instead of Juviderm because of its increased stiffness, due to the sharpness of her nasolabial folds. 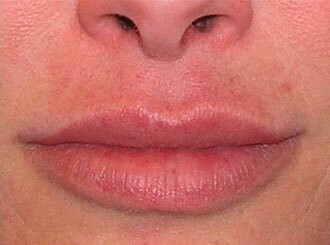 Restylane was used in the lips in order to provide a soft appearing enhancement. 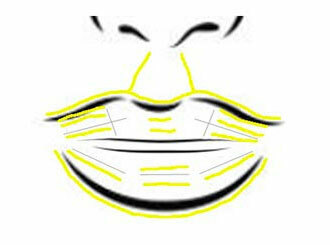 Vertical height, volume, additional shape enhancement, and philtral ridge accentuation were achieved with the injection map shown. 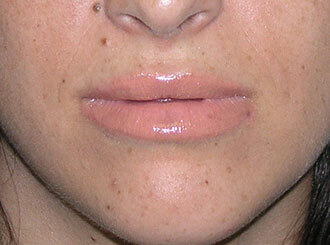 The resulting impact is exactly what she was looking for. 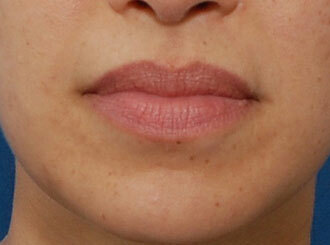 These volume changes in the folds should be achievable with only 1mL on future injections. 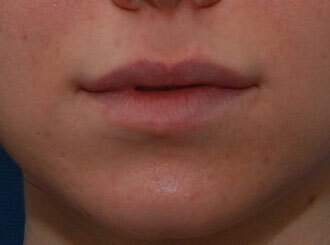 After being thrilled with the initial 1 mL, she returned 10 months later and received nearly 2 mL of Restylane for the lips. 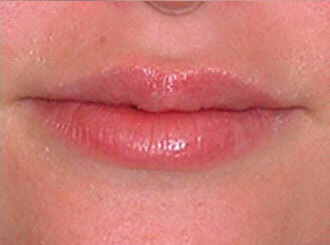 The nasoloabial folds have not been re-injected.